I just had the opportunity to photograph some remarkable animals. Kaimanawa wild horses can polarise people. They made me think. I was a professional conservation manager before I was a professional photographer. I am well aware of the issues with these introduced animals living in an environment of high conservation values, such as these horses. This issue touched me years ago as minute taker for one of the advisory meetings on mustering the horses back in the 1990’s when scientists and managers nutted out the operational plan to manage their numbers. I’ve also studied zoology, and animal behaviour is a huge interest area given my photography. I’ve never gone out of my way for horses, and really haven’t had much to do with them. Young Kaimanawa wild horse stallion all fired up after challenging another horse. We've made a canvas print of this boy available below. Why am I explaining you this? Well, my recent experience was a surprise. I discovered a spirited animal with interesting behavioural traits I hadn’t expected. The horse, domesticed by man over thousands of years, again returning to a wild state & rebuilding its wild traits. I discovered a huge difference between domesticated horses, and those that run free. The word ‘broken in’ refers to spirit I feel. I saw colts and stallions galloping kilometres across open tussock to challenge each other, and then race back. I saw stallions protecting their herd, and a mare cautiously introducing her new foal to her herd. I saw piles of horse poo stacked high as a territory or social marking. But, beyond all I saw spirit. Of course, I’m in two minds – I’m into conservation, but I can also see the other side of the argument to retain some of these animals; to have a wild animal running free – for their spirit but also ours as humans. A quandary alright; one that touches on our conservation ethic, but also strums spirited chords deep within our psyche. Both have value. I went to photograph horses. I found a lot more. I’m pleased to make my favourite image from the day available as a high quality canvas print. He’s really fired up and full of himself, and the flowing mane and glare in his eyes says it all. Thank you to Peter Cosgrove for his generous gift of time and hospitality to make this trip possible. What is your view about these animals? Love the spirit in the photo Rob. The mane looks very rockstar-ish. 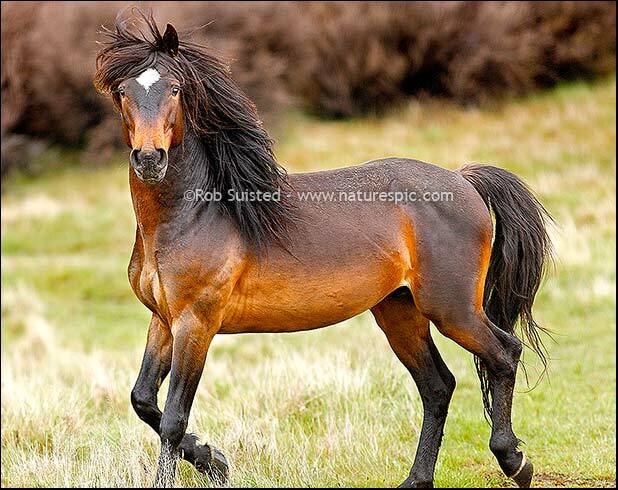 You're reading The Spirit of the Horse; chasing Kaimanawa wild horses at Nature’s Pic Images Blog.